The members of the Algonquin nation, and many other people and organizations across Canada, are marking the loss of Harry St. Denis, Chief of the Algonquins of Wolf Lake, who passed away suddenly on November 15, 2018 at the age of 61. Chief St. Denis was a long-time advocate for Aboriginal title and rights, on behalf of his community, the Algonquin nation, and at the national level. He was first elected Chief in April 1987 and served as Chief of Wolf Lake until his passing. 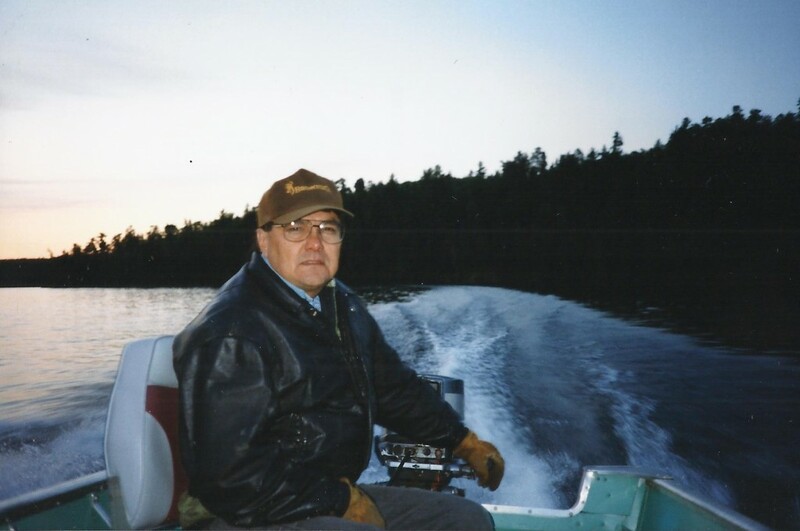 Throughout this time, and in spite of government opposition, he made efforts to obtain lands for Wolf Lake, one of the few historic First Nations in Canada still without a reserve land base. He also had a wider vision for his community based on continuing use and occupation of their traditional lands, and involvement in the regional economy, especially the tourism sector. Chief St. Denis put in years of service on behalf of the Algonquin nation. He served as Grand Chief of the Algonquin Nation Secretariat, and was active in efforts to develop practical working relationships between the members of the nation. He was always available to support the struggles of neighbouring First Nations, and to offer assistance, and was a strong advocate for Algonquin Aboriginal title and rights. This commitment to the advancement and protection of rights led him to be involved at the regional and national levels, too. In the 1990’s he served as a key member of the Assembly of First Nation’s Delgamuukw Implementation Strategic Committee, which was trying to get changes to the federal government’s Comprehensive Claims policy. Over the years he appeared before many government and parliamentary committees, making the case for recognition and implementation of rights and title. 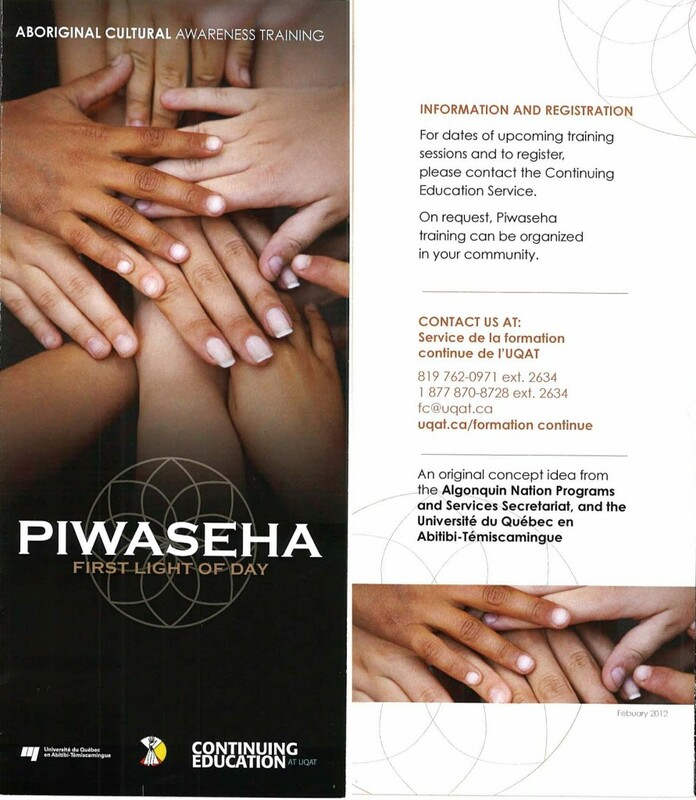 As a part of this work, he was a member of the Assembly of First Nations Chiefs Committee on Claims for over a decade, serving as Co-Chair of this committee since 2014, working with other First Nations to get a truly independent process for the resolution of First Nation specific claims. He held the portfolio of the Assembly of First Nations of Labrador & Quebec’s Human Resources Development Commission, and represented Quebec on the AFN Chiefs Committee on Human Resources Development. Most recently, Chief St. Denis had devoted time to the protection of Chaudiere Falls / Akikodjiwan sacred site, another part of his long commitment to the honouring of the land. We will miss his leadership and guidance. This entry was posted in Uncategorized on November 16, 2018 by ansanpss. Ahead of the Annual General Assembly, the documents from the 37th AGA are available for review. Below are the Resolutions passed and the draft minutes to be approved at the 38th AGA. This entry was posted in Uncategorized on September 6, 2018 by ansanpss. 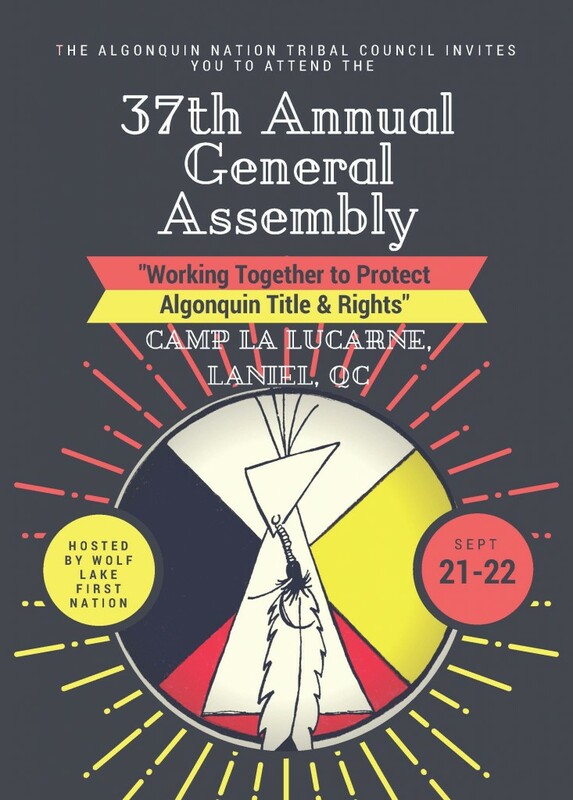 The 38th Annual General Assembly will take place at Timiskaming on September 27, 2018. The previous assembly’s resolutions and minutes will be available shortly for members to review prior to this years assembly. This entry was posted in Uncategorized on August 20, 2018 by ansanpss. The Algonquin Nation Secretariat made a presentation today to the Standing Committee on Indigenous and Northern Affairs (INAN) on Specific and Comprehensive Claims. This entry was posted in Uncategorized on October 26, 2017 by ansanpss. Appearing before the Standing Committee on Access to Information, Privacy and Ethics (ETHI) on Monday, October 23, 2017, the National Claims Research Directors made a presentation on how Bill C-58 (An Act to Amend the Access to Information Act) would impact researchers ability to access government documents. 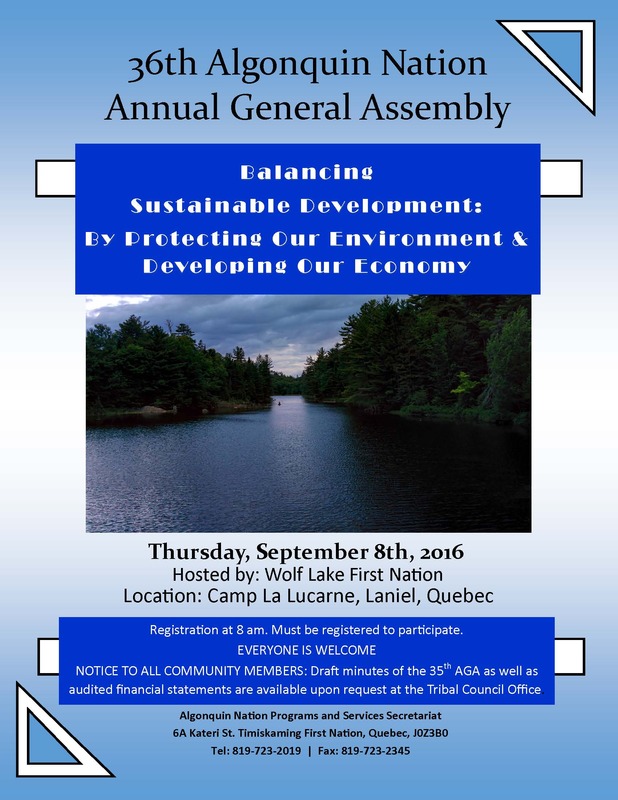 The Algonquin Nation Tribal Council’s 37th Annual General Assembly was held September 21, 22, 2017 at Laniel in Algonquin Territory. The following press release is regarding two resolutions that were passed by the assembly. This entry was posted in Uncategorized on September 27, 2017 by ansanpss. This entry was posted in Uncategorized on August 8, 2017 by ansanpss. ANPSS together with UQAT offers training in cultural sensitivity for those in the health sector. 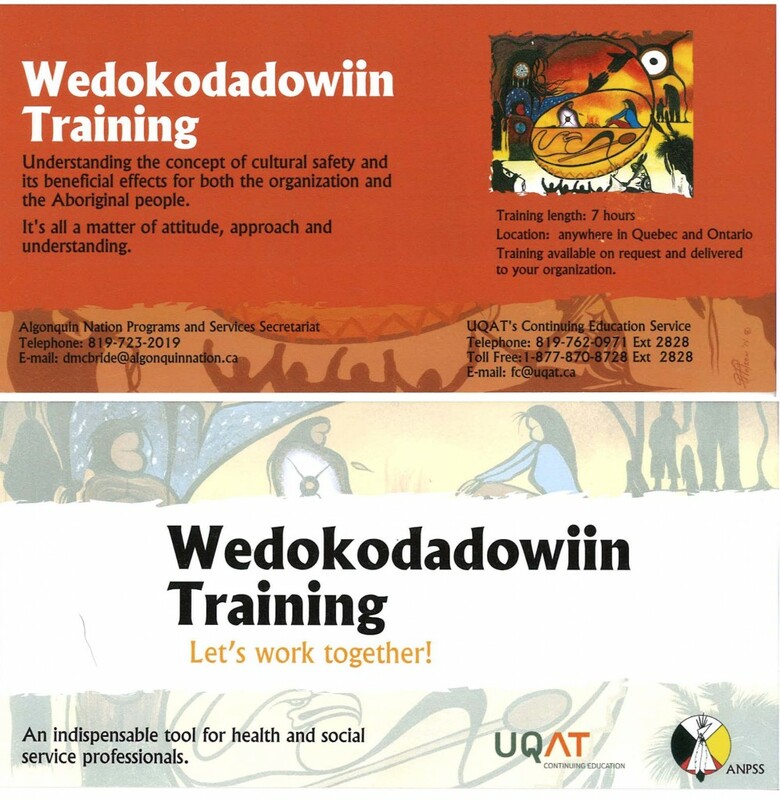 While UQAT recommends checking their website for updated dates and locations for these training workshops, they are also available to come to the community if there is enough interest. This entry was posted in Uncategorized on April 25, 2017 by ansanpss. Prior to attending the Annual General Assembly, the documents from the 35th AGA are available for review. Below are the Resolutions passed and the draft minutes to be approved at the 36th AGA. This entry was posted in Uncategorized on August 2, 2016 by ansanpss. This entry was posted in Uncategorized on July 28, 2016 by ansanpss.